Context #1 – Two people are watching a soccer game and one of the players just scored a goal. Jen: Goal!!! That was a great shot! 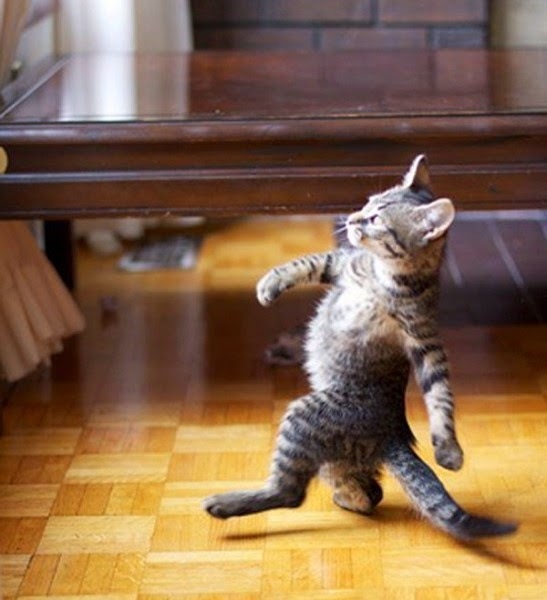 Look at him strut his stuff! Kat: Hmmm. I think that was just a lucky shot. Jen: Seriously? Look at the replay. It was an AMAZING shot, not luck! Kat: Well, I don’t think so. Believe me, he should not strut his stuff and celebrate like that over one lucky shot. It’s silly. Jen: I think he should strut his stuff every chance he gets. Anyways, the game is over so let’s eat dinner. Context #2 - Two people are watching others dancing at a club. Jack: Look at Paul out there on the dance floor just strutting his stuff. Terri: I know! Where did he learn to dance like that? Jack: Oh, he has been dancing since he was a baby. Plus, I think he has a lot of natural talent. Terri: Well, that’s obvious. I wish I could do that. Jack: You should ask Paul to give you lessons. In no time at all, you’ll be strutting your stuff on the dance floor! Terri: Ha, ha! I don’t think I could ever be that good, but it would be a lot of fun. 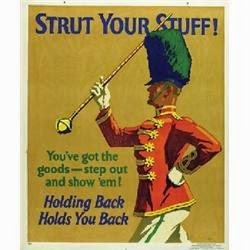 Meaning: “To strut one’s stuff” means to show off what you can do well or to walk proudly and show off (or celebrate) one’s best features or talents. In context #1, the soccer player struts his stuff, or shows off, after making an amazing goal. In context #2, Paul is a talented dancer and is strutting his stuff, or showing off his dance moves, on the dance floor.